The OGC Nice winger is well known for his dribbling abilities with incredible take-ons numbers where at some point last season at Bastia, he had completed more take-ons (125) than Lionel Messi (73), Neymar Jr (119) and Eden Hazard (119). The 20-year-old Frenchman possesses hellacious pace which enables him to beat full-backs with ease. He’s very skilful which also makes him a dangerous and unpredictable winger to tackle. His direct running and creativity, however, couldn’t save Bastia from being relegated, however. His 3 assists and 1.5 key passes per game (the most for any Bastia player) were unable to keep Bastia up as they lost their final game of the season and finished bottom of the league. He’s continued with his decent form with his new club OGC Nice. His direct running and creativity, however, couldn’t save Bastia from being relegated, however. His 3 assists and 1.5 key passes per game (the most for any Bastia player) were unable to keep Bastia up as they lost their final game of the season and finished bottom of the league. He’s continued with his decent form with his new club OGC Nice. With the fairytale rise of the award-winning midfielder N’Golo Kante, more clubs are beginning to develop an affinity for players who contribute more to the defensive phases. Diawara is exactly that kind of player starring for Roberto Donadoni’s Bologna side in the 2015-2016 season. This string of steely performances secured a move to Sarri’s hipster Napoli. 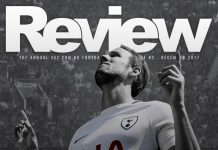 He struggled to come into the first term in his debut season but that is more of a testament to the flurry of choices Sarri has at his disposal. 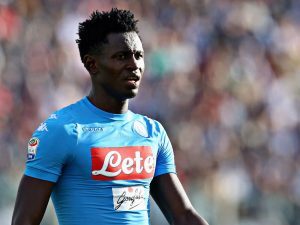 Strong on and off the ball, fierce in the tackle and in the air, Diawara embodies the role of a true destroyer, a Makelele with great aerial ability. However, this doesn’t mean he is all brawn as evidenced by his 91% pass accuracy for Napoli in the 2016-2017 season and given the time and opportunity to develop his game to the next level, he is sure not to disappoint. 20 year old explosive winger Ousmane Dembele was indeed one of the best young players on show last season with 10 goals and 21 assists in all competitions for BVB earning him not only a series of National team call-ups but also a Spanish record £97m move to Barcelona as a replacement for Neymar Jr who left the club for PSG. His pace and excellent dribbling ability are his standout characteristics and are a key part of his style of play. 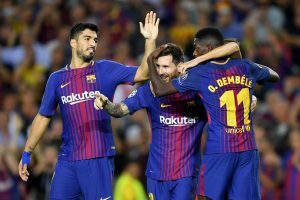 Dembele is now the second most expensive player in the history of football and has some big shoes to fill in Catalonia but going by his form for BVB it is not far-fetched to believe he will be an able replacement. The 20-year-old Spanish striker mustered 2 goals last season in 3 starts while on loan at Wolfsburg from Real Madrid. 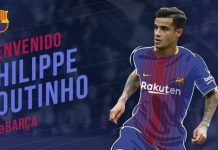 Perhaps what justifies his nomination is his most recent form for Madrid where he has bagged a goal in as many starts for the Los Blancos despite an injury at the start of the season and even though the season has just begun, his upgrade to substitute striker for the Spanish giants after Morata’s departure is sure to move him to a new level of recognition and afford him many opportunities. 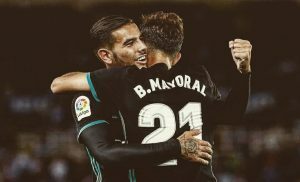 With a long season ahead for Madrid, perhaps he’ll get more chances to prove himself as the prolific player he’s been tipped to be. 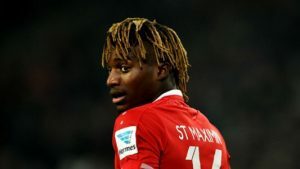 Despite being kept out for a year by an injury he picked up while playing for the England U-21 side back in 2015, the U-21 captain has come back strong and is looking to be one of the crucial men for Jürgen Klopp’s side. 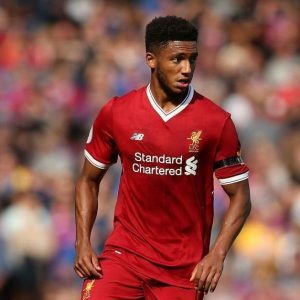 With Liverpool failing to secure the signing of Virgil Van Dijk and Clyne still out injured, Klopp has had to rely on the versatility of Gomez to fill in as both right back and also centre-half. His ability to play out from the back has drawn comparisons to former England centre-back Rio Ferdinand who Gomez praises as his idol. The young centre-half has already made 4 starts in the premier league this season as well as starting in both the UCL qualifying rounds and the opening group stage game. Gomez has put in some impressive performances this year, most notably against Hoffenheim and also Arsenal in the league where he managed to keep Alexis Sanchez quiet as well as providing the assist for the opening goal. Next articleAnthony Martial: Introducing Martial FC, The Coolest Team In Town. 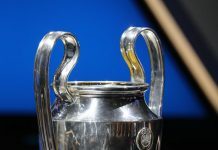 The UEFA Champions League Round Of 16 Preview: Time For New Winners?